A tax expert from City, University of London has contributed evidence to a House of Commons inquiry into tax avoidance and evasion in the UK. Professor Richard Murphy, of the Department of International Politics, submitted his analysis of the issue to the Treasury Sub-Committee, which has published the academic’s contribution on its website. According to Professor Murphy, there have been “serious shifts” in tax avoidance behaviour since 2010 but this has been largely due to the efforts of civil society organisations, not the UK tax authority (HMRC). Professor Murphy explains that there are “major systematic risks” in the UK tax system that have not been addressed sufficiently, despite many loopholes in legislation being closed in recent years. He highlights British islands around the world, known as UK Crown Dependencies and British Oversees Territories, as important parts of a global system that allows companies to avoid paying tax. According to Professor Murphy, these tax havens have been shown to have high levels secrecy surrounding the activity of companies registered there, which “undermine the effectiveness of other countries’ taxation systems”. The submission cities work on the tax gap, or amount of tax that the UK government has not collected, that Professor Murphy has undertaken with his City colleague Dr Hannah Petersen. He argues the government’s conventional appraisal of the tax gap has too narrow a focus to be useful and proposes a new method of assessing it. 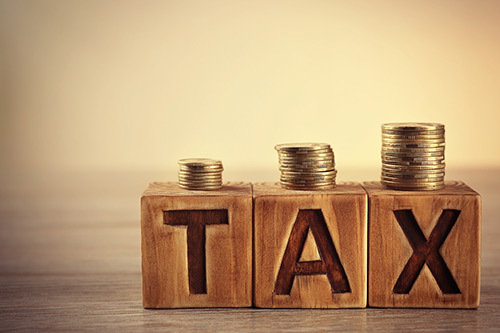 The City academic makes a detailed account of the technical issues behind the problems with the UK tax system and proposes ways in which the UK can tackle tax abuse. 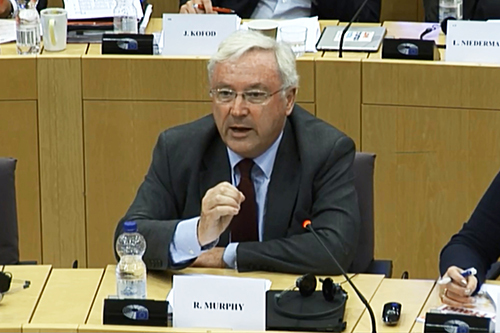 Professor Murphy addressed a committee of the European Parliament on 28th June 2018 on the subject of VAT fraud. He was asked to submit two papers to the Special Committee on Financial Crimes, Tax Evasion and Tax Avoidance, known as Tax3. During the hearing Professor Murphy built on the issues noted in his prior submissions, highlighting themes that were investigated in research being undertaken at City. He explained that the COFFERS Horizon 2020 project, in which he is participating, has shown that only 14 of 28 EU member states undertake any work on calculating their tax gaps, and most of them only look at VAT fraud. Professor Murphy argued that, as a result, few of these authorities look to be adequately resourced with data to justify prioritising resources to tackle abuse. Building on other research now in progress in the COFFERS project, the City academic highlighted the fact that most tax authorities have suffered reductions in their available resources to tackle tax abuse. He mentioned that the UK’s tax authority, HM Revenue & Customs, is heading for halving its staff in little more than a decade. The Tax3 committee is expected to issue a report on its findings later this year.